The seventh CD on Leo Records by the hugely talented guitarist Mark O'Leary. 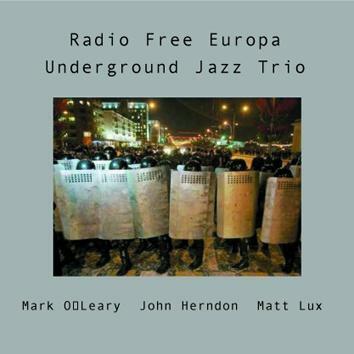 Recorded in Chicago in April 2006, Radio Free Europa is a coming together of Mark O'Leary (who rubbed shoulders with Paul Bley, Matt Maneri, Matt Shipp, Tomasz Stanko, Uri Caine, Steve Swallow, Tom Rainey, to name just a few), John Herndon (drummer with Tortoise) and Matt Lux (Isotope 217). It is underground music with a subtle Orwellian tinge to the dialogue. Chicago indie jazz meets European chamber improv.